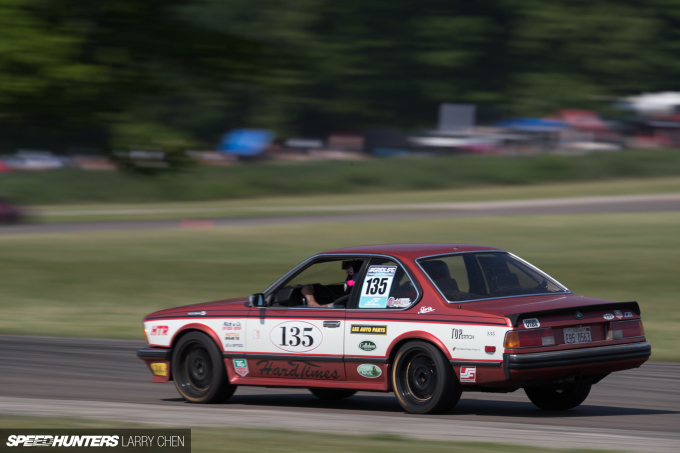 Late last month, I gave you guys a look into the culture of Gridlife Midwest, as well as touching on the drift action, all of which went down at Gingerman Raceway in Michigan. Gridlife is the ultimate track day, car show and concert all rolled into one, making it the best event of this type outside of Europe. Luckily for track rats, Gridlife is not just about drifting; there’s an actual time attack competition with classes that cater to everything from daily drivers to full-on track builds. But the organizers take it one step further with instructors on site to help those seeking their first track experience. There is no better way to get into the hobby than at Gridlife. So what sort of cars did I find the paddock? My favorite was this Pontiac Solstice 2.4-liter Ecotec-powered Datsun 510. I really love stuff like this; not everyone has an endless budget to build their dream car, so you kind of roll with what you’ve got. Which is exactly what we see every time we go to Gatebil in Scandinavia. My second favorite car? Check out this Mitsubishi Evo 4G63T‎-powered Volvo Amazon. I know what you guys are thinking – how could I show you these cool cars without featuring them? Well, I’ve got good news for you: I featured the 510, the Volvo, and this rear-wheel drive S2000-powered CR-X. 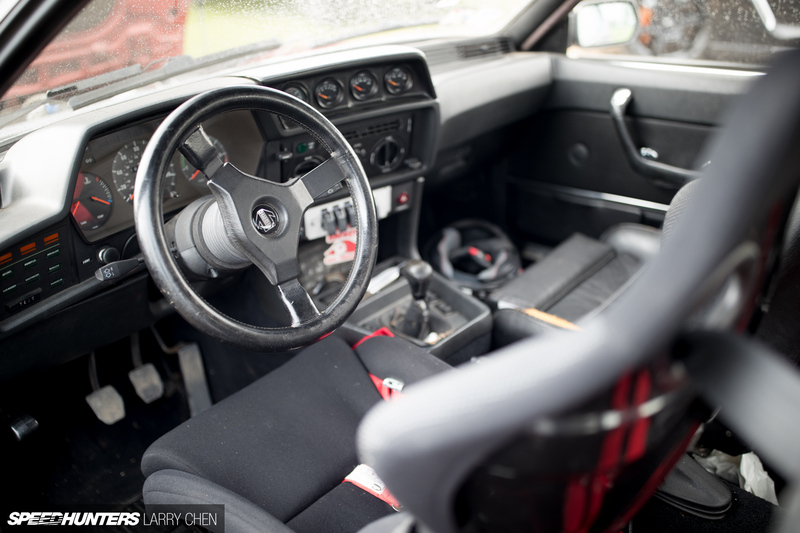 Oh, and the latter is turbocharged too… This is what Gridlife is about. 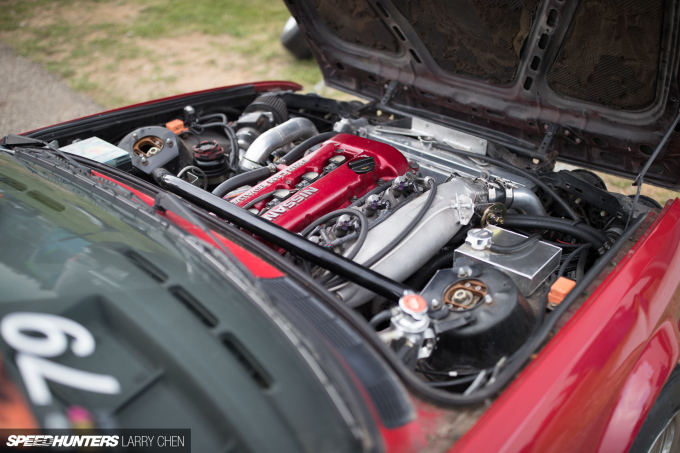 One of the most insane builds at the event – but also extremely functional – was this 1990 Suzuki Swift GT built by Kevin Stittle. Originally Kevin built it to be a show car, but he got bitten by the time attack bug and eventually went all-out on the original 1.3-liter Suzuki motor. At the time he got the weight down to 1500lbs, but of course that was still not enough. 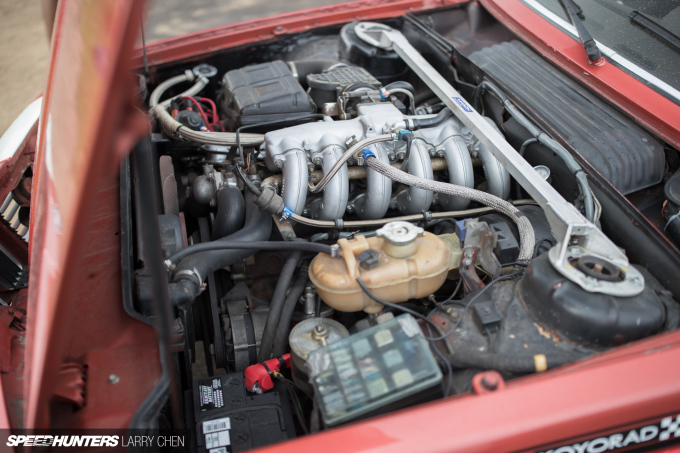 Even though the naturally aspirated and ITB’d Suzuki motor was pushing 154whp, Kevin wanted more power, and also an engine that was not so stressed that it required a rebuild after every event, as the 1.3-liter did. Enter a Honda K-series engine – the K Swift was born. The motor barely slots in between the stock frame rails, but it does fit! As it sits today, the K20 motor makes 208whp on 94 octane pump gas. Reliable power never sounded so good. The weight went up to 1,650lbs with the swap, but the extra power more than makes up for that. Not rebuilding the motor after every session is a pretty nice feature too. You can see how much of a tight fit the Honda engine is. The top of the core support panel even had to be slightly modified to allow the intake manifold to clear. 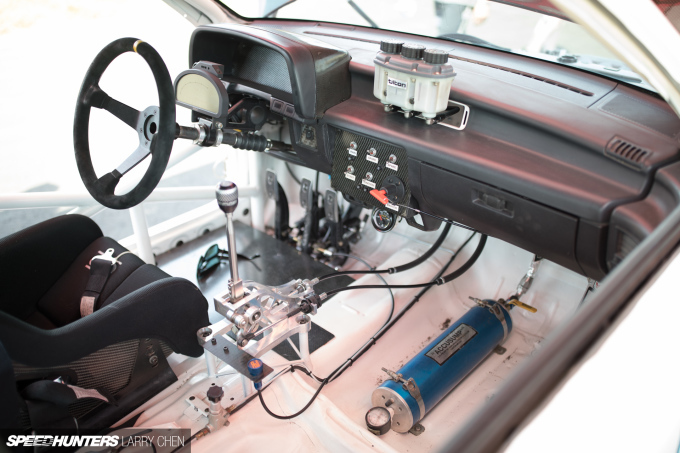 Other fun bits include a Tilton pedal box to handle the Wilwood brakes and clutch setup. Click play above to watch Kevin’s brother Andrew driving the Swift in one of the time attack sessions at Gridlife. The attention to detail is what really piqued my interest in this build. I just love homegrown projects like this. Motor swaps have almost always been the cheapest and easiest way to get two or three times the power versus upgrading a car’s factory-fitted powerplant. In America, you can walk into any of the thousands of auto parts stores and pick up replacement and performance components for a GM LS motor, whereas you’d be hard pressed to find turbo, or in this case 4A-GE parts, anywhere near as readily. 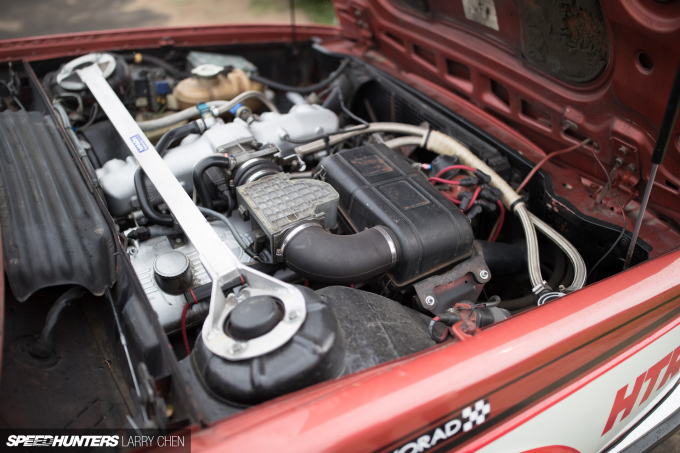 So it really makes so much sense to swap a V8 into an Corolla drift car. A reliable smoke machine that makes the purists cringe – what more could you ask for? The definition of a street car is pretty skewed nowadays, especially if you live outside the heavily-regulated state of California. With this 2013 Scion FR-S, Ryan Tuerck went about building the ultimate street car that also doubles as a drift machine. 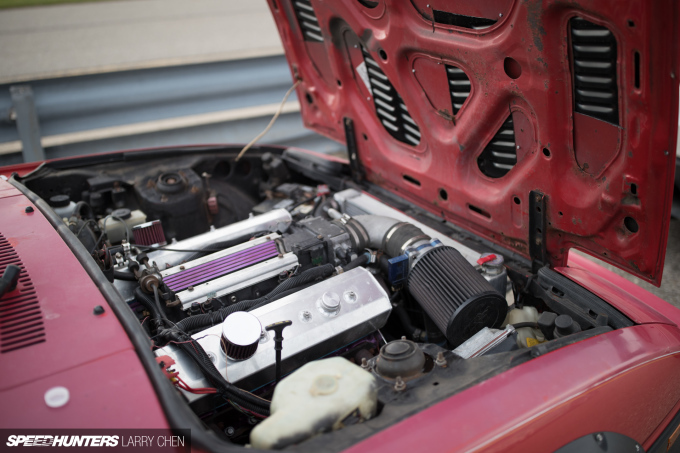 The heart of the build is a VVTi 2JZ featuring a Brian Crower 3.4-liter stroker kit. Paired with a Garrett GTX4088R turbo, it puts out a modest 600whp. 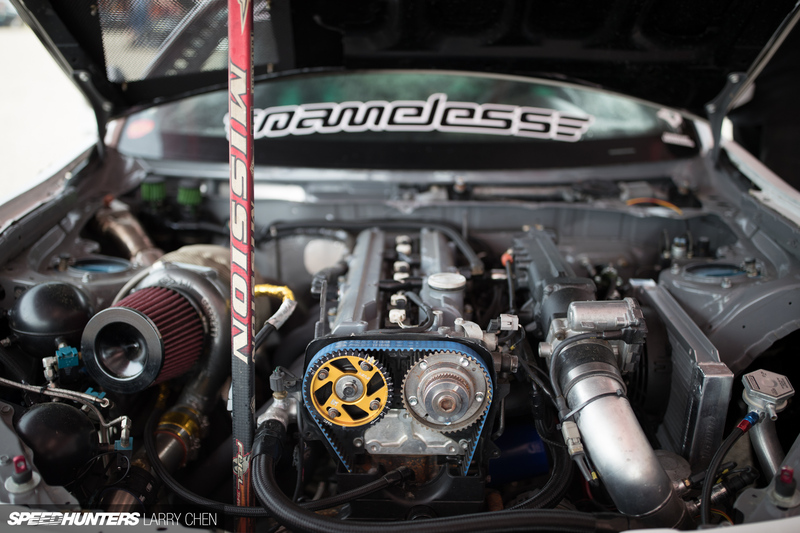 It most definitely sounds the part as it also has a custom anti-lag setup from Nameless Performance, the same guys who built Ryan’s Formula Drift competition car. To make it a true drift performer, Wisefab kits feature front and rear for maximum angle. One of the coolest builds at Gridlife belonged to my buddy Rob Parsons. Here’s a great photo of my friend Greg riding shotgun carrying Rob’s wheelchair. It seems everyone and their mother has built an S13, (I’ve had two), so to make one stand out above the rest is hard to say the least. Not only is Rob’s car right-hand drive, it has hand controls too. The setup is actually custom made by Rob himself, and it’s so amazing how the clutch, gas and brake pedals are integrated. I shot a full feature, so expect details on how all that stuff works soon. I’ve known the Risky Devil guys for a while now, but up until Gridlife I’d never actually seen them drift on the track. They are famous for their street antics, but they love hitting up circuits as well. My friend Stevie brought out his BMW E30 drift coupe, in matching red with a black roof. It’s the quintessential Risky Devil livery. 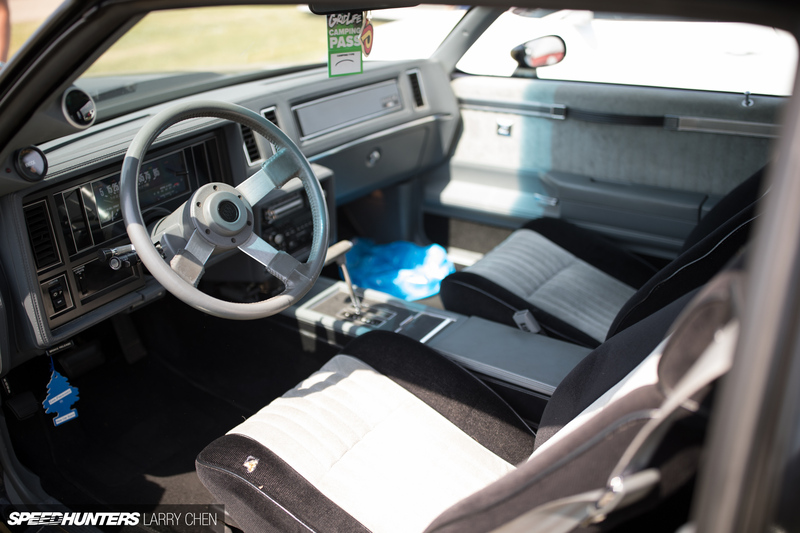 The build is super clean with the interior simple and functional. At the heart of the E30 is a Nissan SR20DET ‘redtop’ that’s putting out around 320whp – more than enough to get this thing going sideways. 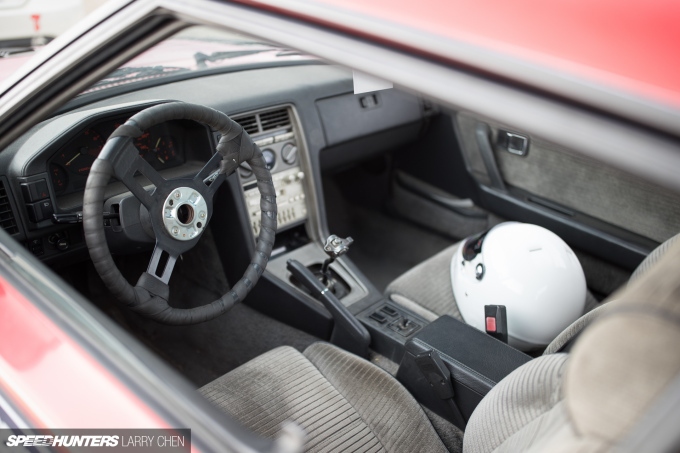 Seeing that I run an almost identical setup in my Datsun 240Z aka Ole Orange Bang, it’s kind of like this is a German version of my car, albeit a little more modern. Most drift car builds that get pushed this hard are never this clean, so I applaud Stevie for all his hard work. He’s currently building an E92 for drift duty too, so I can only imagine how that will turn out when he’s all done with it. 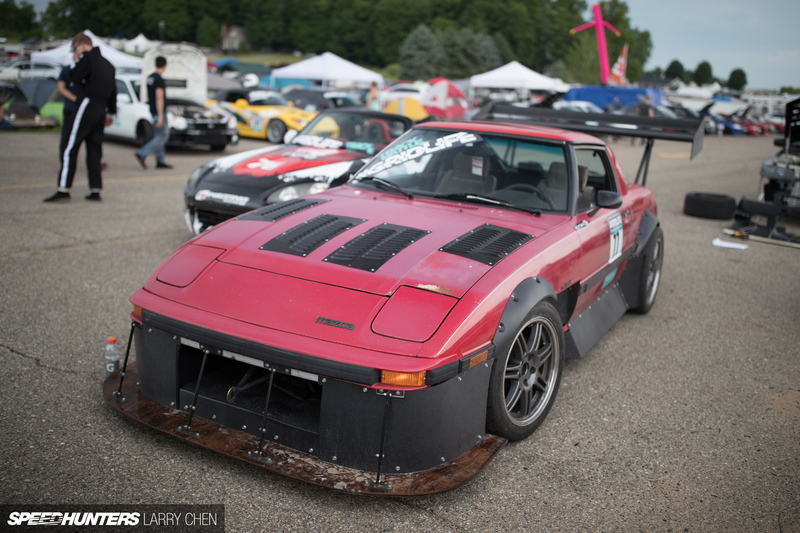 I want to finish off with a few cars that caught my eye in the paddock, starting with this homebuilt RX-7. If I remember correctly, the owner bought it for a few hundred dollars with the intent of a budget time attack and track car. I don’t recall exactly what motor he swapped in, but from the looks of it, I am guessing it’s American. The interior and the wood splitter just really finish it off, and I love all the custom aero that the owner’s done. For a car that just cost a few thousand dollars to build, it certainly made me smile. Being in the car scene, I meet so many people who are very passionate about their cars and the culture that surrounds them. Something I hear all too often though is someone proclaiming that one day they will take their car to the track, but that it’s not ready yet. 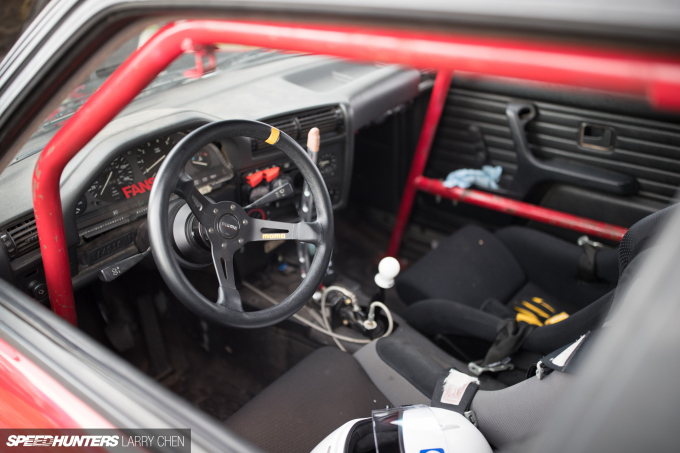 That of course is pretty much the worst thing ever; as long as your car is in good working order with all the proper safety equipment, there is no reason not to take your ride to an auto-x event or local track day. 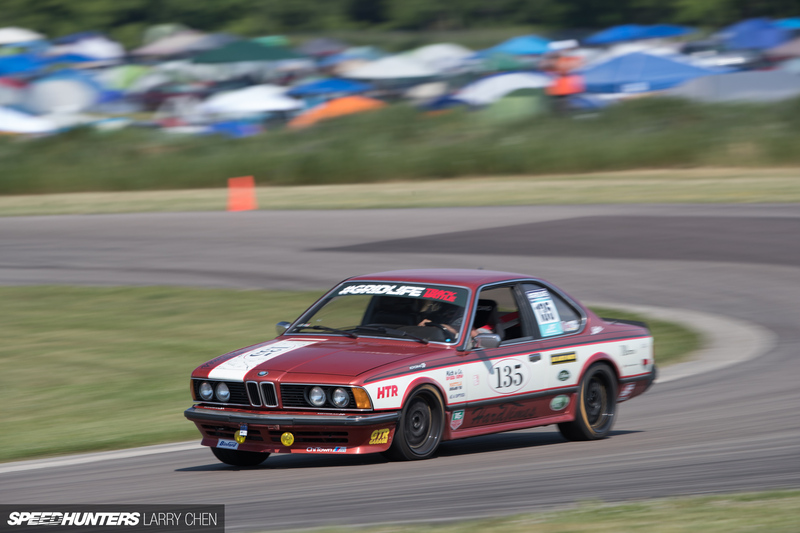 Take this 1980 BMW 635CSI for example. The owner is not going to break any records or anything, but I can guarantee that he had a blast all weekend in this beautiful coupe. Cruising through the paddock I saw so many interesting builds around the place, but I thought this scene was particularly interesting. I guess you could say the Grand National and the Toyota Supra are rivals. Domestic versus import, and both boosted from the factory. The Grand National is one of those cars that I love because of just how silly they really are. We all know they are quick, and that really makes them the perfect sleeper. This one has been been built to put down around 700whp, which is just insane. I wonder how the owner keeps this thing going straight? Gridlife is cool in that you can pretty much bring anything to drive on track. As long as it passes the safety tech inspection, then you are good to go. 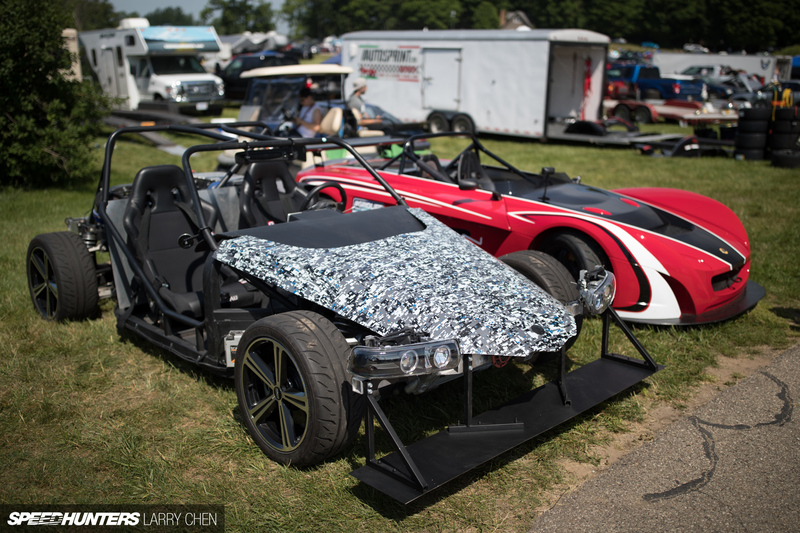 This homebuilt open wheel contraption is just a taste of what sort of cars are allowed to run laps. Seeing these cars makes me a bit upset that I won’t be able to make the next Gridlife event at Road Atlanta. 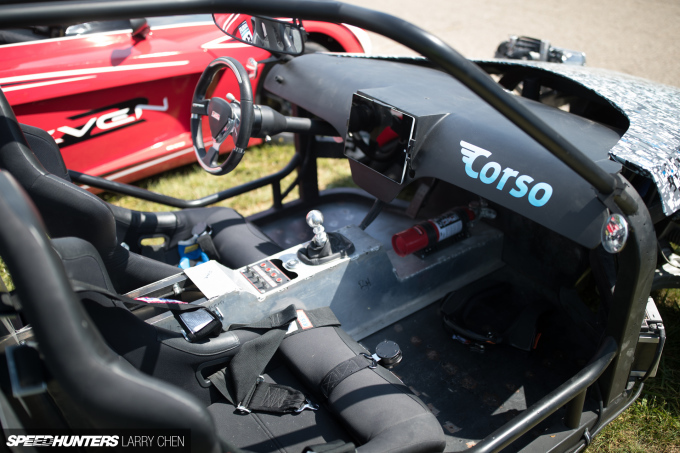 But at the same time, I am already looking forward to seeing what sort of builds show up to next year’s Gridlife Midwest event at Gingerman Raceway. that f20c powered crx is amazing. i wish you can do a feature on it. or at least a spotlight. you guys... I will look at this post many times over in the coming weeks. Excellent stuff. 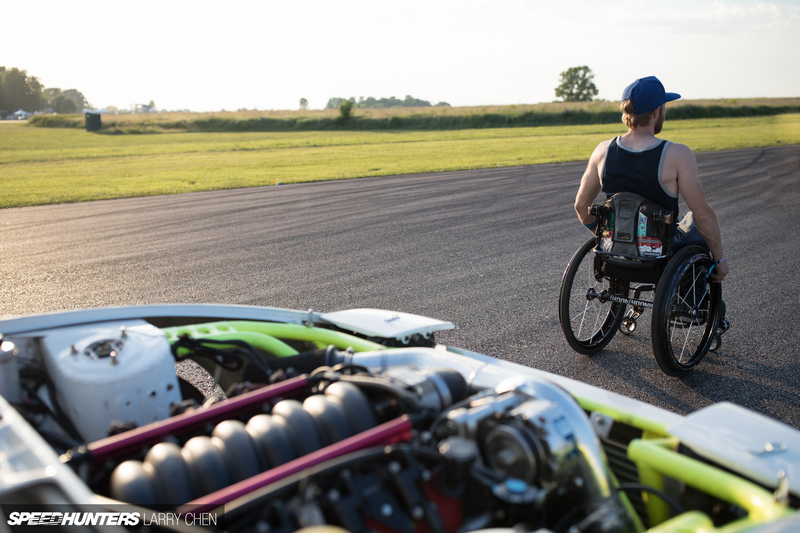 "Something I hear all too often though is someone proclaiming that one day they will take their car to the track, but that it’s not ready yet." My biggest pet peeve right there!! So many people can't make it racing because they 'need' coil-overs or a big brake kits or fully built forged internals with a giant honking turbo hanging off the side. You need seat time to find the weak points of your car and get better as a driver. Best scenario at a track I would go to has 2 different FRS's. One stock (I think he may have an intake on it) the other has a supercharger, coil-overs, expensive track tires, exhaust, racing seats. Stock FRS is about 3-4 seconds faster than the heavily modded. You don't 'need' all kinds of performance parts UNTIL you have found the limits of what you feel safe at and the weak points on your car. 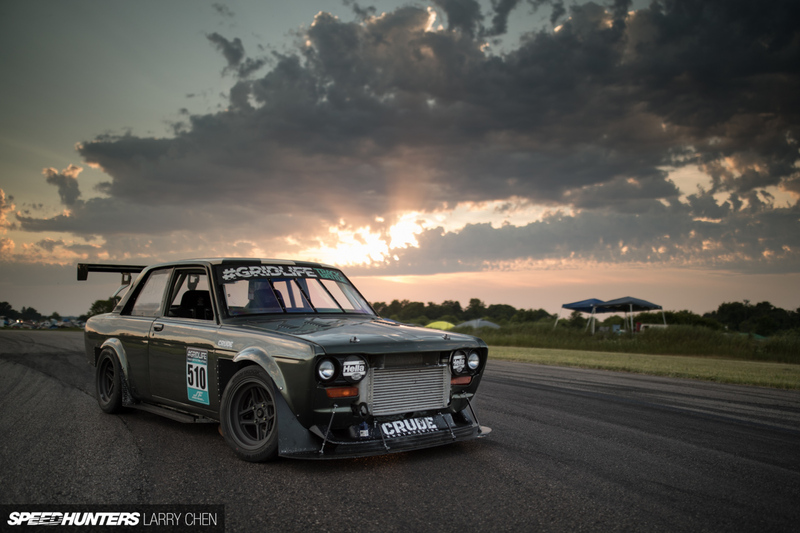 I did a full feature on that car and three others in this post. This is probably one of your better articles. I like when you show a little more of the paddock, behind the scenes and details of the cars. Its more contrast than a bunch of images of cars sliding around. Hooray for Canada! Looking forward to that one. Larry Chen does it again! WOW, verrrrry good driver from the 1990 Suzuki Swift GT driver. Smooth, precise and a good line. I like that left-foot braking action! Larry. 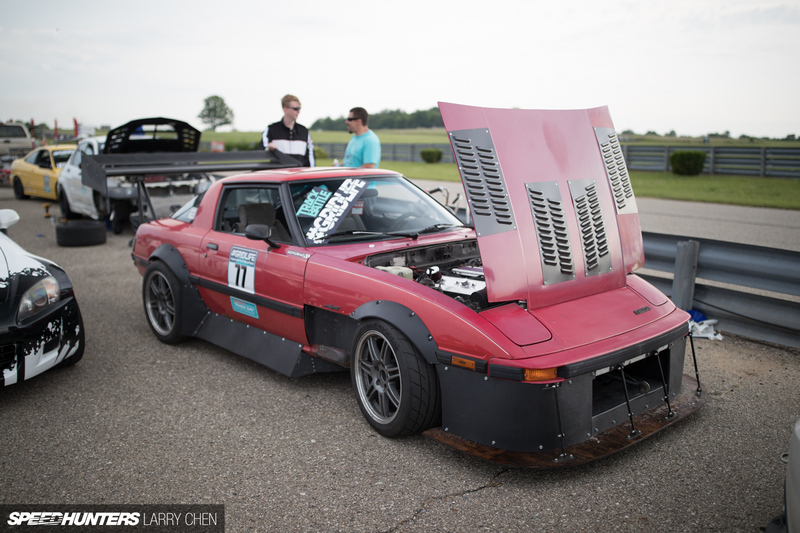 That FB Rx-7 has a junkyard Chevrolet LT1 V8 in it. I talked to the owner for a little bit Thursday night after I helped him unload it from his trailer. Which he towed with a equally awesome Chevrolet Caprice sedan. 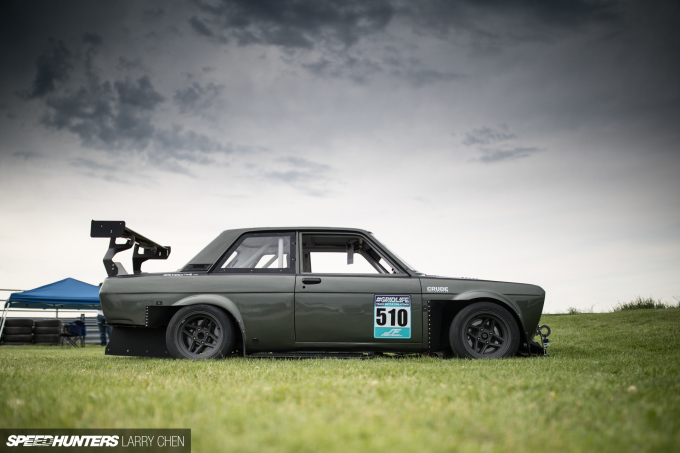 Thank you for featuring that 510! Tim Oliva Preach man. I am torturing my stock aw11 on track every chance I get. There are many weak points to the car, but less and less weak points to me as a driver. The most important thing is that you´re having a blast behind the wheel. 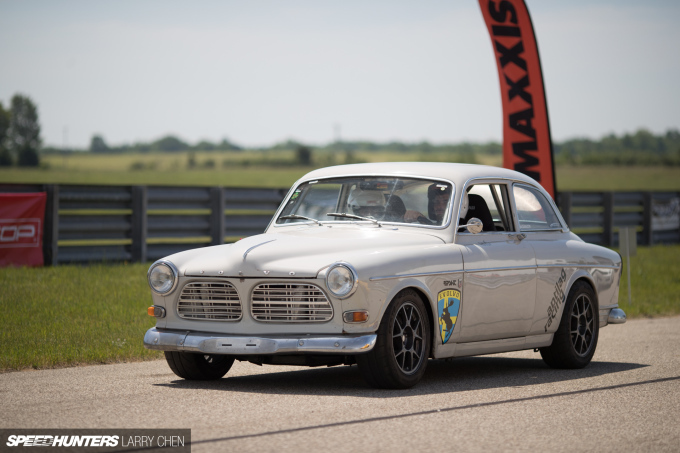 That volvo amazon... what rims its running? I want one for my mr2!! JakubVenhuda I remember my first track day on a road course I did not have much fun because my car's weakest link became very evident on the first corner. Drivers seat had zero bolsters. So spending my time going around the track with one hand under my seat trying to keep me in place and one hand on the wheel (thankfully car is an automatic in this case) and still slamming into the door panel and the center console while cornering. Two weeks later I came back with a 'new to me' recaro seat installed and I had a blast because I didn't have to focus keeping myself in my seat. Lap times improved and I can't wait to make it out more this year. Awesome read and awesome photos. 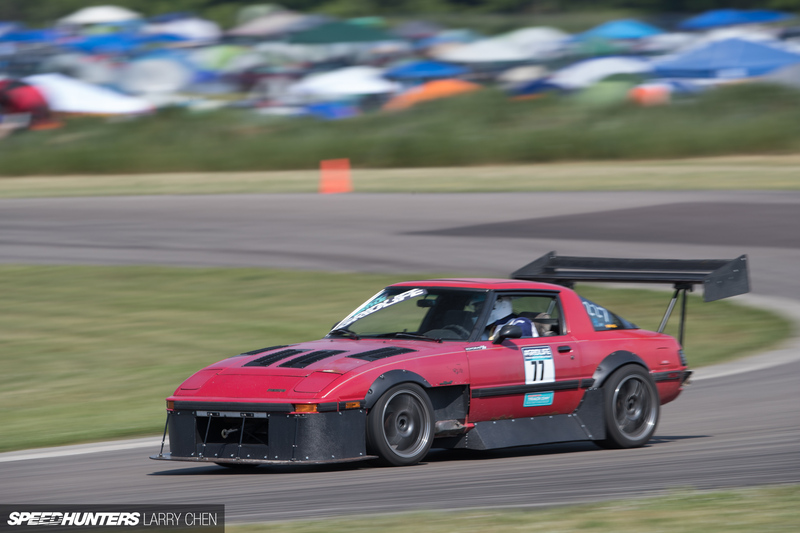 That RX-7 wing was custom made by Waterford Composites in Michigan which can be found on Facebook. Owner does awesome work! Do you have any side shots of the Suzuki Swift? That Buick and Supra pic is priceless. Two legends. that homebuilt open wheel really inspire me. Anyone know what wheels are on that 510? Wow! For rotas they look incredible. Are they a replica of another wheel or is it a rota original design?